(PANTONE 17-3615) A beautiful 11 oz. 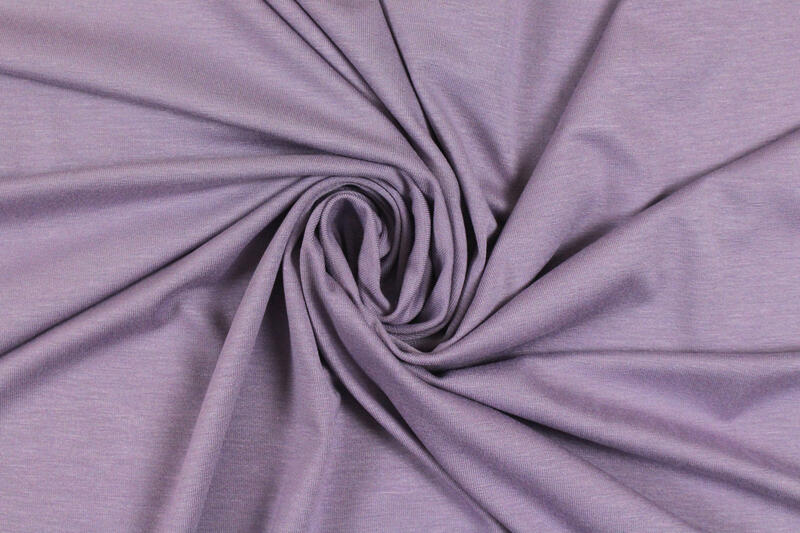 rayon/spandex single knit jersey in a gorgeous wisteria. 11 oz jersey is a bit lighter weight than the 14 oz, but still works for all the same types of patterns. 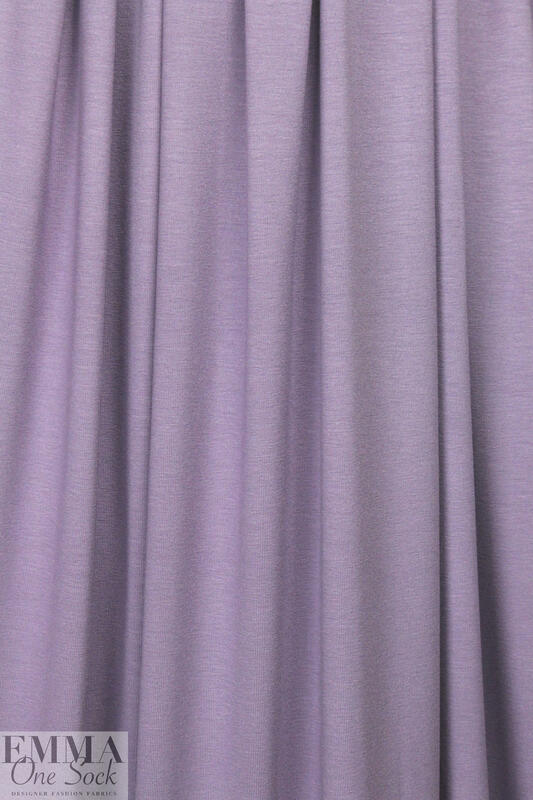 Rayon/spandex is cool, comfortable, incredibly soft and drapey, has great recovery, and the 11 oz. 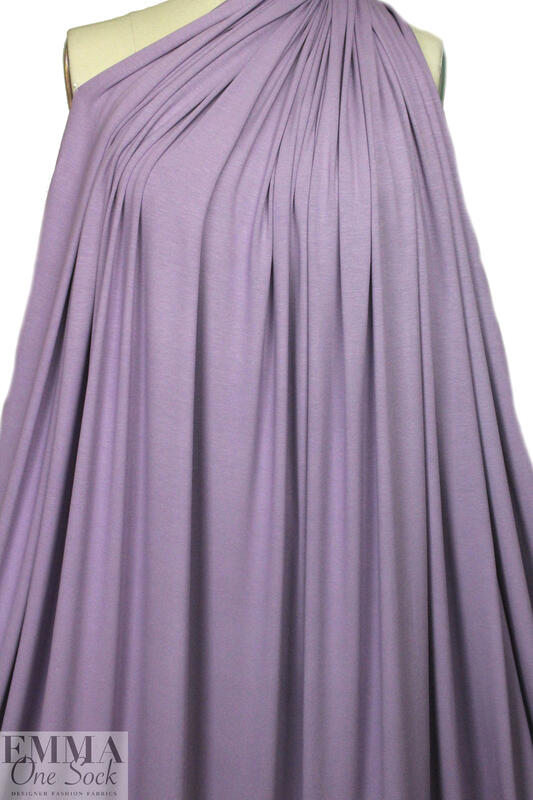 weight is fabulous for trendy tops and tees, yoga wear, flowy skirt or elastic waist pants, etc. It has about 60% stretch in both directions with great recovery. Machine wash gentle, hang to dry.